So, I don’t remember why I went to Cupcake Royale’s website. 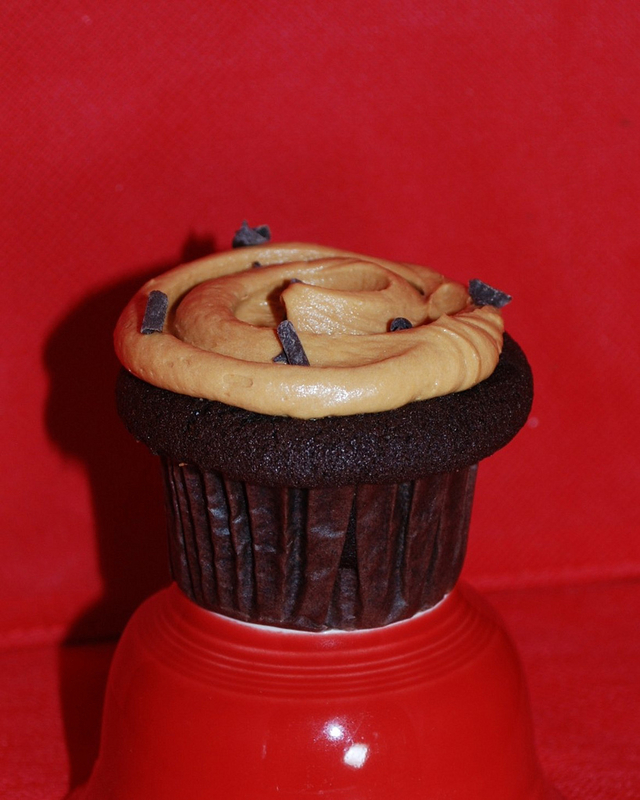 Yellow Leaf tweeted “licorice cupcake” to me. It sounded gross, but got me thinking about cupcakes → Cupcake Royale is closest→ I was intrigued by their harvest flavors. 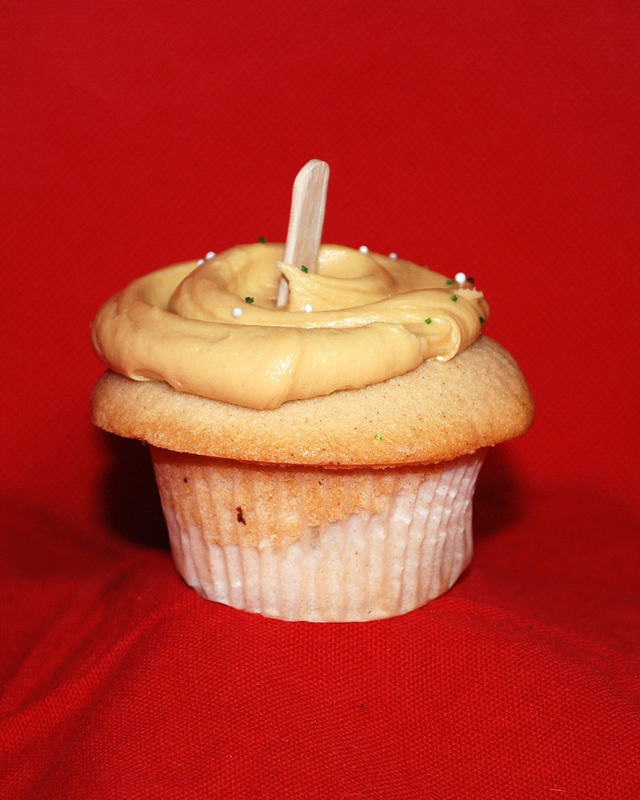 Caramel apple: delicious golden cake made with chunks of honey crisp apple from Tiny’s Organic farm plus sweet apple butter from Woodring farm, topped with our housemade caramel frosting. 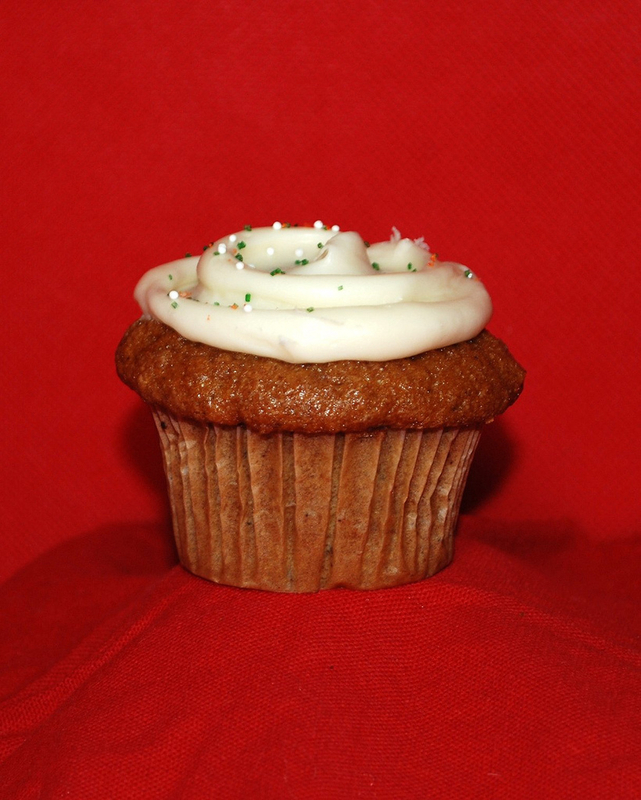 Pumpkin Maple: lightly spiced pumpkin cake made with organic pumpkin from Stahlbush Island Farm topped with delicious maple cream cheese frosting. Carrot Cake: our classic carrot walnut cake now made with fresh local carrots from Ralph’s Organics topped with rich cream cheese frosting. I don’t really think that cupcakes are doing my booty (or my waistline) good, but they make my tummy happy (usually). Pumpkin Maple: The cake was really good: very moist and flavorful. 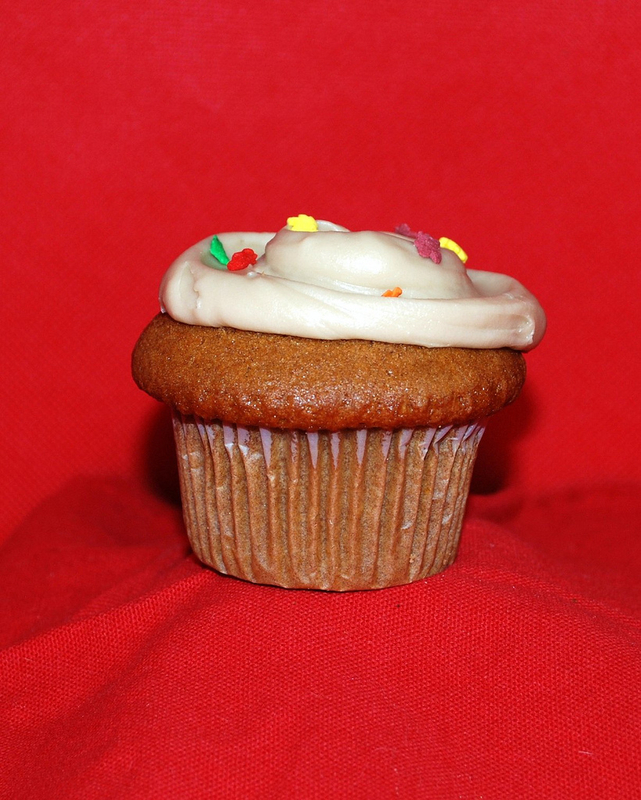 The icing had definite maple flavor, but was a little grainy and overly sweet. Very cute cupcake. Colored leaf sprinkles give it a fun, cartoonish look. Rating: ♥♥ 1/2. 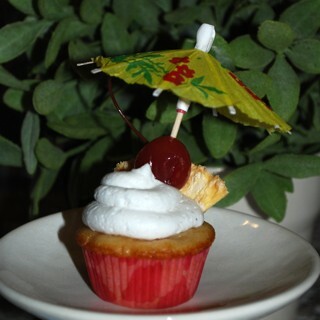 I’d purchase it again if I were at Cupcake Royale, but it probably wouldn’t entice me to Cupcake Royale. Pumpkin Maple- click to enlarge. Carrot Cake: Details to come. To quote Mr Shuck, “It was fine: nothing to write home about” and the icing “was barely detectable, was that cream cheese icing?”. Lots of walnuts added texture, but it was kind of dry. I personally didn’t get any icing, so I’ll let him provide the rating: ♥ and 1/2. “I’d eat a couple of bites if it were free, but I wouldn’t pay for that.” Not all that visually appealing either. Salted Caramel: details to come. My first complaint is that the description says “Fleur de Sel” after the butter cream and before the chocolate curls. Also, the photo online shows salt crystals on top. There were no salt crystals. I don’t think salt would have improved this any. The icing was the same caramel as on the Caramel Apple, so I won’t go into it again. I scraped it off and left it in the box, leaving Mr Shuck to ask, “EW! What’s that?” He also thinks Duncan Hines might provide better chocolate cake. I thought the cake was dry, but I ate it. The cake was ♥♥. I’d eat it if I were hungry. The icing is NO hearts. I would avoid this icing. Summary: I’ve only had a couple of Cupcake Royale cupcakes (and none since I discovered Trophy). Since they keep getting voted “best cupcake in Seattle”, I thought perhaps I was mistaken in my opinion that they are inferior and I gave them another chance. I won’t be wasting my money there again for another year at least. I just ate a Reece’s cup to get the taste of the caramel icing out of my mouth.